All of us have that hard to shop for member of the family that makes an otherwise joyous season of giving a true challenge. I’m that guy in my family. I don’t really want gifts, but my kids have adapted. They now give me gifts that fall into one of only two categories. It is either something they think I need, or it is designed to amuse them more than me. I admire that last part. So, as a public service to all of you and with guidance of my two sons’ principles, I have developed this list in case any of these folks are on yours. These people get plenty of gifts from plenty of people, and these are ideas of things they either need, or that we just enjoy giving them. 1. Henry Holcomb. 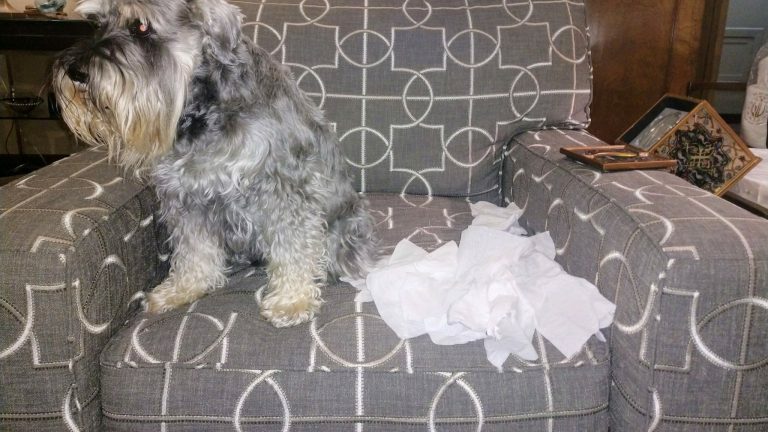 Indiana’s First Dog was recently blamed in embarrassingly public fashion, for chewing up a box of Kleenex at the governor’s residence. There was no due process, and only circumstantial evidence. I am arranging for Ace Ventura, Pet Detective to investigative this obvious frame job. I hear he is available. @FirstDogHenry’s impeccable reputation must be restored. 2. IU Football Team. The Old Oaken Bucket. Yes, I’m an IU homer and an alum. On the other hand, since Purdue Coach Jeff Brohm has his bags packed for the coaching job at Louisville, he shouldn’t get the bucket and a bowl game on the way out. IU wins, 35-31. 3. Ivanka Trump. I can’t think of a better gift for America’s first daughter than an email subscription to AOL. She can be emailed at FirstDaughterSchedule@aol.com. She and Vice President Mike Pence can keep the company afloat, which will be like a magic trick given that I didn’t even know they still existed. 5. Amazon. I will ship CEO Jeff Bezos one of their own boxes filled with absolutely nothing. OK, I don’t want any of that nothingness to get damaged, so I will jam it full of their own bubble wrap with about half of the bubbles already popped. Happy Holidays, with love, signed Indianapolis. 6. Senator Rod Bray and Representative Phil GiaQuinta. For these two new leaders of the Senate Republicans and House Democrats respectively, a copy of Frank Sinatra’s “My Way.” It’s a new day in both caucuses, and these two should do things their way. Indiana is lucky to have them both. 7. Chief Justice John Roberts. He gets a gift card for a six-week crash course in constitutional law from Trump University. With a certificate of completion from TU, maybe the president can finally believe Justice Roberts knows more stuff than even he does. Maybe. 8. Vice President Mike Pence. With rumors about his chief of staff, Nick Ayres, moving to take over the same job for the president, I want to start a “Draft Charlotte” campaign. Charlotte Pence is my favorite Pence. Convincing her to go to Washington for the next two years and give her dad daily guidance could be huge. He might listen to her. She is our only hope of making the office of the VP great again (until 2020 that is). 9. Mary Beth Schneider. After five years out of the Indiana Statehouse, one of our state’s best reporters returns as an editor for The Statehouse File. My gift to her, and to all of her Franklin College students, is to serve as the designated “anonymous source” for the entire 2019 legislative session. Teach these eager young minds how to use my inside knowledge judiciously, since as you know, I don’t actually have any. 10. Hate criminals. From the State of Indiana we will pass a new law just for you next year, and our courts will be able to increase your sentences for your hateful crimes. Oh, and using our gift giving principles, this one isn’t amusing, it’s actually something these people really need. See. It truly is better to give than it is to receive. And I’m sure there are deals on all of this stuff, if we are just willing to apply ourselves and search.